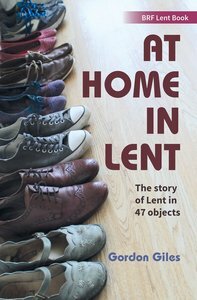 About "At Home in Lent: The Story of Lent in 47 Objects (Brf Lent Book Series)"
Gordon Giles is a vicar in Enfield, north-west London. He was previously based at St Paul's Cathedral, where his work included musical and liturgical responsibilities. He has also written O Come, Emmanuel; The Music of Praise;The Harmony of Heaven and Fasting and Feasting for BRF, and contributes to New Daylight Bible reading notes and Quiet Spaces journal.